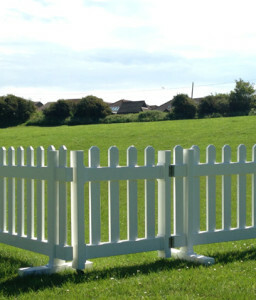 All of our temporary fencing styles were designed by us from the ground up based on over 10 years of customer feedback. Our mission is to make the most versatile and durable product on the market. 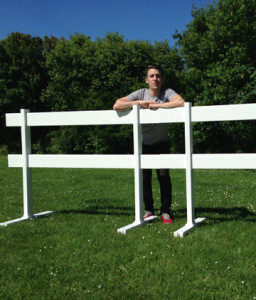 A product that can withstand any challenge thrown its way; from amusement park crowd barriers that have to be pleasing to the eye while at the same time safe for thousands of kids to climb all over, time and time again to horse shows where the fence has to deal with a tremendous beating from everything: wind, rain and sand to horses dogs and passers by. 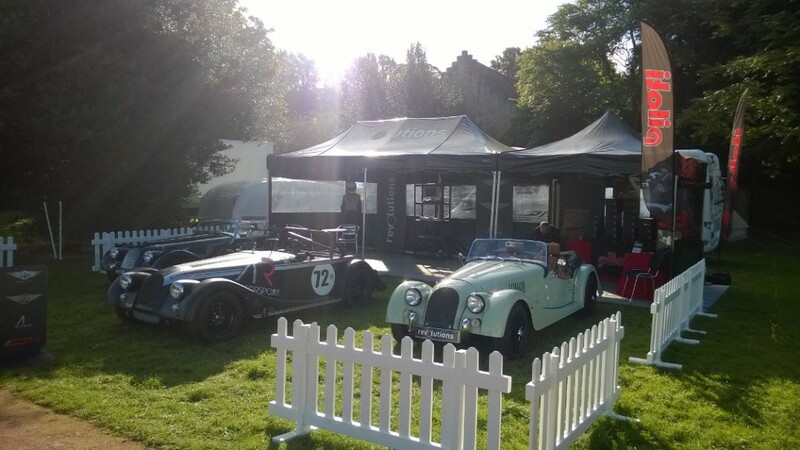 Temporary Picket Fence used at a classic car event. 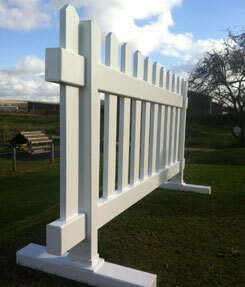 There are no sharp edges on any temporary fencing that we sell. Our temporary plastic fencing comes as standard with ‘dog ear caps’ that are flattened off at the top, ironing out any sharp tops. Each panel is easily connected to the next via our free joiners that are completely out of view once the panels have been linked together. We also have a choice of connectors for corners and turns. 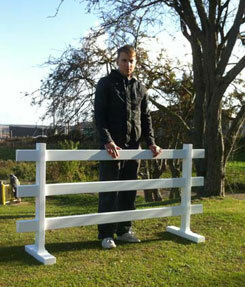 Our heaviest temporary fence, the temporary picket fence weighs just 12 kilograms when fully assembled. This makes the fence easy to relocate, carry and store. 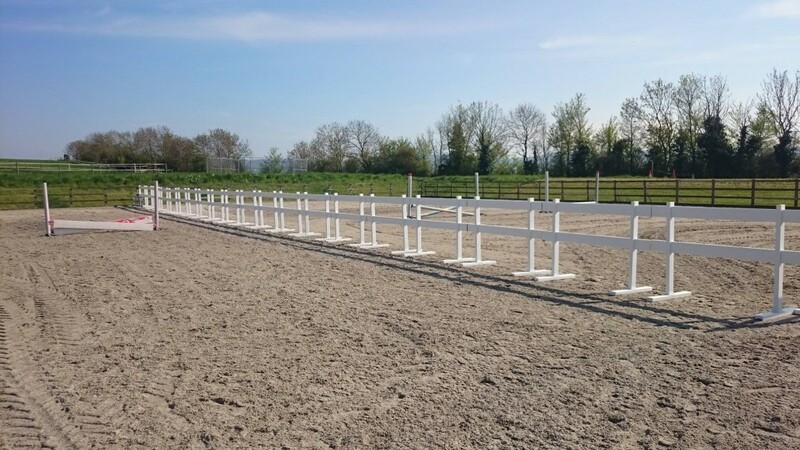 The 2 rail temporary fence has wider stands for better balance to improve sturdiness. 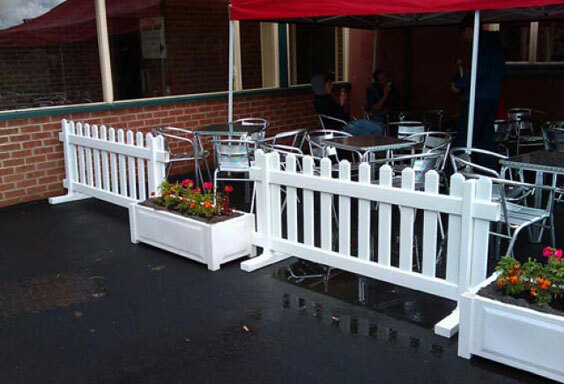 Every style of our temporary fencing can easily be shortened with no special tools needed. 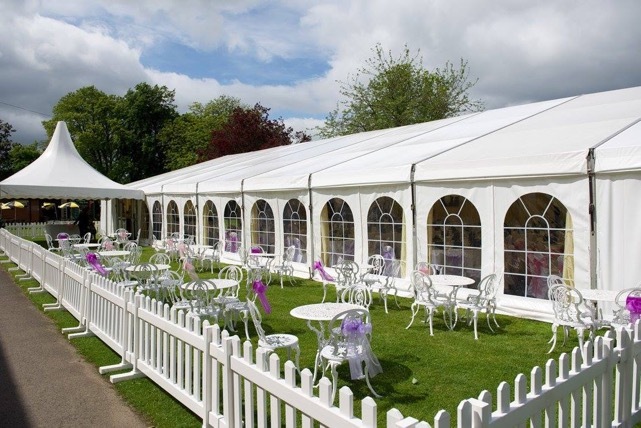 Our Temporary Fencing is waterproof, easy to assemble and dismantle, unmatched in durability, very light and easy to carry and change location. This fence has the strength and durability just like any other fence we stock and due to its tiny profile has a very small surface for the wind to move and is easy to store. Installation could not be simpler, watch the video above to see for yourself.